ASTM D6866 was developed in the United States as a standardized analytical method for determining the biobased content of solid, liquid, and gaseous samples using radiocarbon dating. Specifically, it was developed at the request of the United States Department of Agriculture to satisfy legislation requiring federal agencies to give preference in procurement to manufacturers using the greatest amount of biomass in their products (per the Farm Security and Rural Investment Act of 2002). It was quickly established that radiocarbon dating was the only viable and accurate technique to use for the determination of a product’s biobased content. A working standard of radiocarbon dating for industrial use was completed in 2004 and is now cited in US Federal Law (7 CFR part 2902). ASTM D6866 is a widely used method in the bioplastics industry. Braskem, a leading Brazilian petrochemical company, is one of the many bioplastics companies that use ASTM D6866 to certify the biobased content of their products. ASTM D6866 was first published in 2004. There have been several versions released since then. The current active version of the standard is ASTM D6866-18 effective March 2018. ASTM D6866 distinguishes carbon resulting from contemporary biomass-based inputs from those derived from fossil-based inputs. Biomass contains a well-characterized amount of Carbon-14 that is easily differentiated from other materials such as fossil fuels that do not contain any Carbon-14. Since the amount of Carbon-14 in biomass is known, a percentage of carbon from renewable sources can be calculated easily from the TOTAL organic carbon in the sample. In 2003, under the direction of the USDA, the CIRAS facility at Iowa State University undertook a program to test Beta Analytic’s capabilities (as well as many other laboratories). By June of 2004, Beta Analytic had analyzed over 200 biobased products under controlled test conditions delivering all results within 1 to 3 weeks. Results confirmed the commercial capabilities of Beta Analytic to provide a reliable service. In 2004, BETA joined the American Society for Testing Materials (ASTM) Subcommittee D20.96 to help author ASTM D6866 – a standard for biobased content analysis using radiocarbon dating. Today, Beta Analytic is the world’s largest biobased content testing laboratory. The lab routinely releases results in 5-7 business days. A priority service is available for results required in 4 business days or less. To check the authenticity of a Beta Analytic report, use the lab’s report validation checker. It must be noted that ASTM D6866 only quantifies the biobased content of a material but results do not have any implication on the material’s biodegradability. The terms biobased and biodegradability may be related, but they are not synonymous nor are they interchangeable. If a material is biobased, it comes from plants or animals, but it does not necessarily follow that it is biodegradable. A material is biodegradable only if microbes in the environment can break it down and use it as a food source. Some forms of cellulose are, in fact, non-biodegradable while some that are derived from petroleum do biodegrade contrary to popular opinion. Nowadays there are synthetic plastic resins that will biodegrade and compost just like paper. 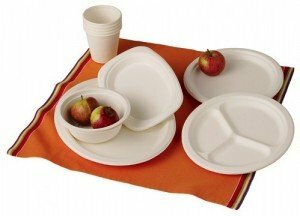 There are also bioplastic materials, such as Braskem’s bio-polyethylene, that do not biodegrade. What can Biobased Testing do for Manufacturers?